Easiest working bail you will ever fish. 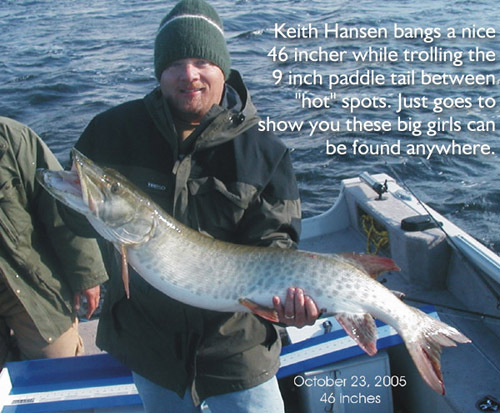 This paddle tail is longer and larger than a typical tail design. It moves with a very fluid motion, even at extremely slow speeds. The movement of this tail shakes the whole bait! The Baitfish sinks slowly about a foot per second. This makes the pause a very effective strike trigger. Just stop reeling and let it sink, the tail never stops moving.